High Performance Electronics Architecture The Western Digital Caviar Black WD1001FALS boasts dual processors and 32MB cache to deliver ultra fast read/write performance. 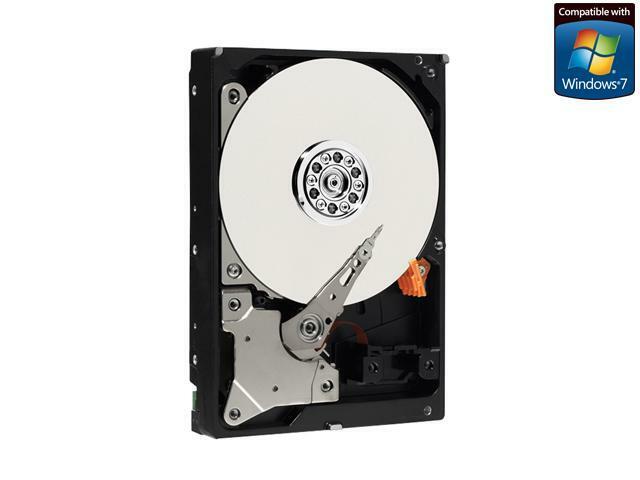 SATA 3.0 Gb/s Interface The Western Digital Caviar Black WD1001FALS features the SATA II interface supporting up to 3.0 Gb/s data transfer rates, Native Command Queuing (NCQ) and hot-pluggable point-to-point connections for optimum performance, efficiency, convenience and flexibility. WD Data Lifeguard Technology Exclusive Data Lifeguard data protection features include shock protection, an environmental protection system and real-time embedded error detection and repair. WD's Data Lifeguard technology automatically finds, isolates and repairs problems that may develop over the life of a hard drive. WD ShockGuard Technology ShockGuard technology instantaneously protects the hard drive against damage from bumps and vibrations during operation. This technology enables WD Caviar drives to achieve industry-leading shock specifications. 32 MB cache - Bigger, faster cache means faster performance. This item is covered by Token Return Policy. Pros: Update as of 3/2019: No issues with any of my drives yet... Running in my networked media/gaming server. I've got a lot more years than I expected from them. They are fast (around 150mb peak transfer rates) for their age. 65 thousand or more hours on each of them and 0 bad sectors. Other Thoughts: Would buy a whole pallet of these drives, what a great product! Compare the online ratings to Seagate's 1TB Barracuda offering at the time I bought these... 1 in 4 failure rate? no thanks. Pros: Product came packaged securely and after installation there were no problems. Fast and quiet drive. UPDATE: This hard drive has stood the test of time. It has been wiped over 20 times and filled to the max at least 10 times. Other Thoughts: While obviously showing its age this is still a solid hard-drive for saving all my games to. Load times might not be fantastic, but I have NEVER lost any data on this drive unless I decided to remove it myself. Hard Disk Sentinel shows no errors. However, it does recommend I upgrade soon as the life expectancy of this drive is... less than a few months away. Pros: Over 8.5 years of spinning, still works great. Still fast, high quality production model. Other Thoughts: Would recommend this version for long term use. Pros: Longevity for a "Normal Consumer Use Case"
Other Thoughts: I'm happy with these. Thank you WD. Pros: feels like it will last 10 more years. Cons: got a bit noisier than before. Pros: Ordered two drives in 2008, both have near 30,000 hours on them. No bad sectors or errors and the drives are 10 years old. Runs 5-10 degrees hotter than the newer models. Other Thoughts: would recommend. I always go for black drives.